We’re proud to utilize advanced tools and modern, proven techniques whenever possible to address your child’s personal smile needs. From cutting-edge digital X-rays to state-of-the-art sterilization to ceiling-mounted TVs above each chair, our team strives to exceed expectations. Dr. Bajjalieh strives to stay right at the forefront of pediatric dentistry. 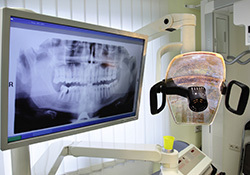 She is Board-Certified and a Diplomate of the American Board of Pediatric Dentistry, having undergone extensive training in child growth and development, dental and facial injuries, behavior management, restorative dentistry, preventive care, orthodontics and caring for patients with special healthcare needs. Every time your son or daughter visits, they will always see Dr. Bajjalieh! 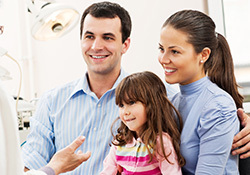 Every member of our team is your child’s teacher, partner and advocate regarding their ongoing oral healthcare needs. We individualize all of our treatment plans so that they precisely match each patient's needs, age and level of maturity. We also know there’s much more to them than just their teeth – we love talking to them too about their favorite activities, their families and what they learn at school throughout every appointment. Every time your child shows off a beautiful smile, parents will know that there’s a solid foundation of education and love behind it. We look forward to seeing you at Alabama Pediatric Dentistry in Homewood, AL and helping the office become your loved one’s new dental home. Contact us today to schedule a visit!